For Harwich residents ages 9-14. Directed by Marcia Hempel. 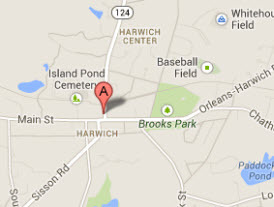 All lessons and rehearsals will be held at First Congregational Church, 697 Main St, in Harwich Center. REGISTRATION AND FIRST CHORUS REHEARSAL: TUESDAY JULY 10, from 1:30 to 2:30. The program is free of charge and no audition is necessary. All are welcome. Each young singer will receive a voice lesson every week, and will attend a chorus rehearsal once a week (Tuesdays from 1:30 to 2:30). Music will be provided. At the end of the six weeks of the program, there will be a concert, held at the church, on Sunday, August 19, at 3:00. The choral and solo repertoire will include musical theater, pop songs, and other styles, and the young singers are encouraged to suggest some of their own selections for their solo literature. Please arrive at 1:15 for the first rehearsal, on July 10, to allow extra time for registration and scheduling of lessons. Contact First Congregational Church (508-423-1053) with questions, or you may email Marcia Hempel at hempel@earthlink.net. Notification of your interest is appreciated, but preregistration os not necessary. This program is funded by a bequest from the Libby Stevens Fund, administered by First Congregational Church as an outreach to the community.